How to run a social media campaign in China? 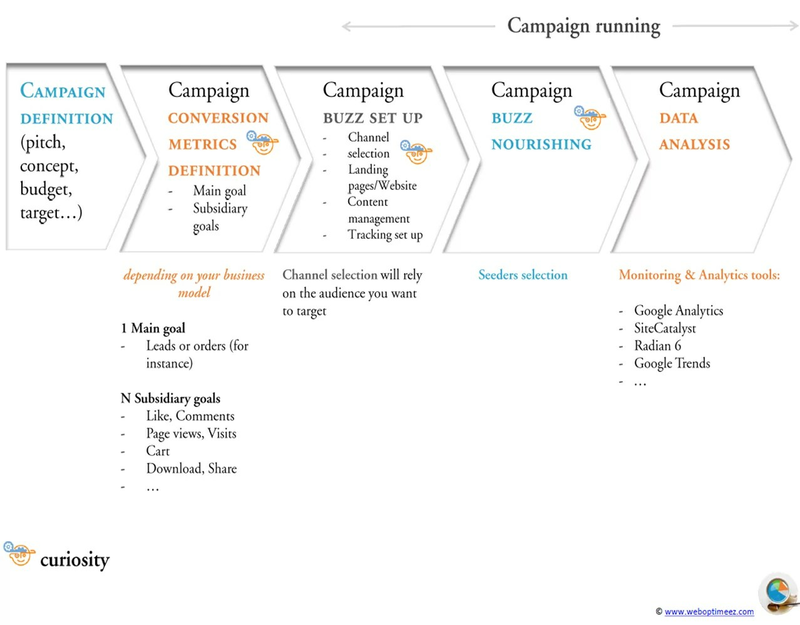 Few weeks ago, I was attending a WebAnalytics Wednesday in Hong Kong, the presentation was about social media campaign management in China and how campaign planning and strategy how-to are different in China versus western countries. This event was conducted by Charlie Wang from Tribal DDB Hong Kong and the case study was relying on his own personal experience as Data Analytics director in a Beijing local consulting agency. This session was a great first introduction to social media behavior in China, and I kept in mind and now highlight some concepts that I would like to share: how to create brand/product awareness and follow up on China social media landscape. Assuming that you are willing to launch offline, follow up online & looking for social media resonance. Here is below the big picture, basically campaign management concepts are the same everywhere but the means and tools are not. I will emphasize each point that arose my curiosity* ! This first step is basically when you start pitching your campaign: you need to tell a story to convince your client or boss that this way you will arise awareness about the brand/product. You will define here your communication, your target and quickly how-to. Let’s take for example the launch of a new book. I’ll plan here to organize several events in book store, library, supermarket… with a signature session & flyers distribution. The flyers will contain a QR code, dedicated website, coupon code… whatever you want to lead the on internet to search for you. Those KPI should be measured by quantity & quality, for example you could measure the volume of people that comment about your post & the audience engagement = (comments + share + trackbacks)/total post views. 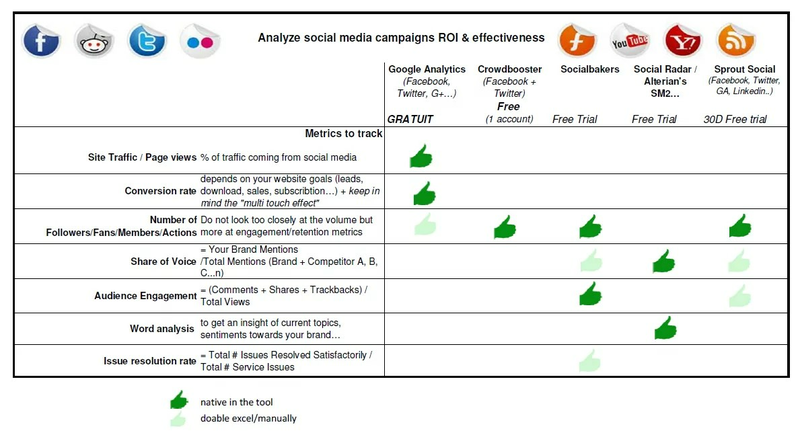 Check here the main metrics for reporting about a social media campaign. In this step, you will create your landing pages, your dedicated website, set up the tagging… & select the channel you want to target. When regarding social media, in western countries we will focus on Facebook & Twitter whatever the target is. 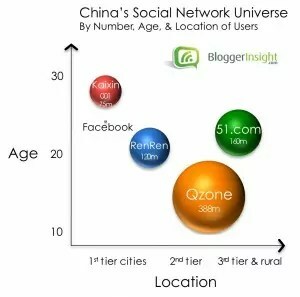 In China the social media landscape is much more scattered and you choose your channel in function of your target age & location. Plus you have to get the difference between SNS and BBS. In this particular case, we will use professional seeders to write positive content about the book in several blogs & BBS and if necessary try rise a controversy to attract more real people and get more content. This is not very common in western countries but it has to be done for a effective social media campaign in China. 2 questions here, which platform & which metrics? Regarding the metrics, I’m still pretty convinced with those: share of voice, audience engagement, micro conversion rate and else. Voila le fruit de ma réflexion, en espérant que cela puisse aider !
. Ces outils ne peuvent pas être inclus dans le benchmark car le but est de centraliser l’info mais il est néanmoins utiles de la regarder en parallèle. J’ai essayé de me focaliser sur une petite quantité de metrics pour ne pas monter une usine à gaz car nous avons déjà assez de tableaux et metrics a suivre. Et je pense que ce listing de metrics suffit amplement pour monitorer le social media au sein de son activité. L’objectif de ce benchmark est de savoir comment mesurer à la fois le ROI et surtout l’engagement suscité par les campagnes de social média dans le cadre d’une activité ecommerce de petite ou moyenne envergure ; avoir un reporting simple qui permettent d’aider à la décision pour savoir ou accentuer l’effort et comment ? En conclusion, je pense qu’au vue de ce tableau il est aisé de se dire que la meilleure recette aujourd’hui est de mixer un des ses outils pur social media analytics (Sprout Social ou SocialBakers) + un outil de web analytics tel que Google Analytics (pour les conversions et la vision globale de votre traffic) + les outils périphériques. Here is the result of my surfing, hope it might help! These tools cannot be included in this benchmark because my goal was to centralize the info but nevertheless you should look at them in the meantime. I tried to focus on a small amount of metrics because we already have enough dashboards and metrics to follow. And I think that this listing of metrics is more than sufficient to monitor the social media in your business. My point was to know how to measure both ROI and engagement generated by social media campaigns as part of an ecommerce business (small and medium scale), have a simple reporting that assist emarketers in the decisionmaking part about social media : should I increase the effort and how? In conclusion, I think that the best recipe today is a mix of pure social media analytics tools (like Sprout Social or SocialBakers) + a web analytics tool such as Google Analytics (for conversions and global view of your traffic) + others peripherics tools. [:fr] Dans la série des “How to…”, voici un Ebook tout récent sur le sujet des page marque Facebook. “How to Master Facebook Marketing in 10 Days” HubSpot’s. Bien sur, il est peu probable qu’en 10 jours votre marque devienne une star de Facebook, conquiert 10 000 fans sincèrement engagés, que 20% de votre trafic vienne de Facebook et transforme… Néanmoins ce livre blanc donne de bonnes pratiques pour réussir son lancement sur Facebook et optimiser sa présence sur ce réseau social. Watch and Learn : Faites un benchmark des pages marques facebook les plus influentes et de vos concurrents. Etudiez-les et inspirez-vous ! Ayez conscience du Edgerank de Facebook : algorithme de Facebook qui en fonction de votre pertinence, de l’interaction avec vos fans, fréquence de post… vous positionne dans le news feed de vos Fans. Ce dernier point est d’ailleurs un sujet sur lequel je reviendrais pour mon prochain post sur les outils de webanalytics et le social media. [:en] “How to..” time ! Here is a new Ebook on the topic of Facebook marketing management. Sure, it seems unlikely that within 10 days your brand will become a Facebook star, won 10,000 fans sincerely committed, that 20% of your online traffic will come from Facebook and convert into customer … Nevertheless this ebook provides some useful best practices for a successful launch on Facebook and how to maximize its presence on the social network. Evaluate successful Facebook pages : benchmark the most successful brands online + your competitors, study their tips and get some inspiration from them ! Understand EdgeRank and the art of engagement : Facebook algorithm that based on your relevance, interaction with your fans, frequency of post … positions you in the news feed of your Fans.